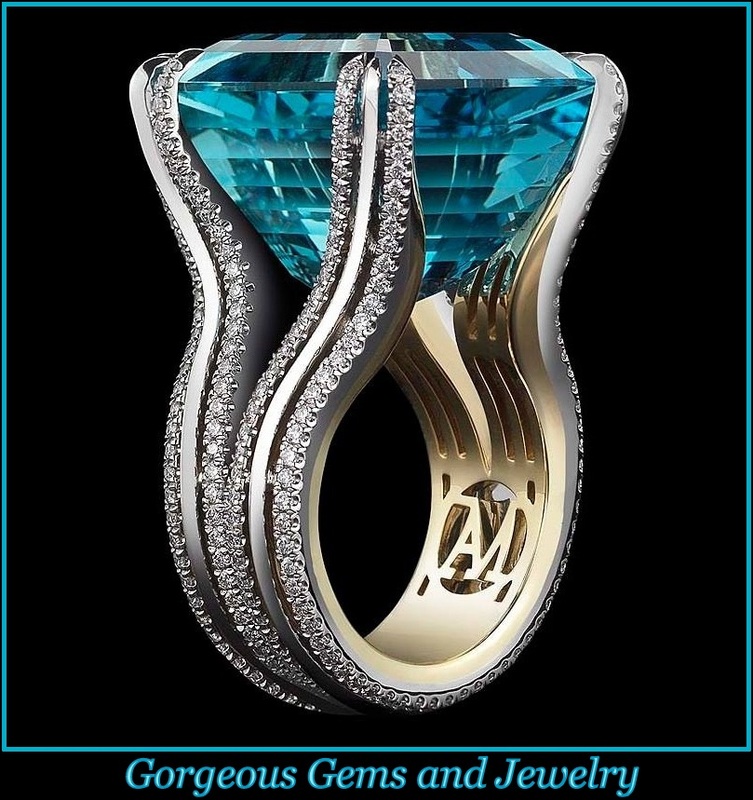 Is jewelry art? These priceless collections are housed in some of the world’s greatest museums and prove that it is. 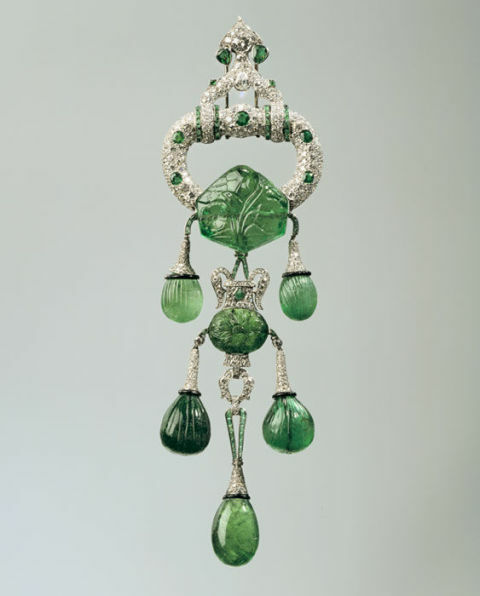 Along with the jewelry in its permanent collection, the museum also has exhibits dedicated to gems, like the 2011 show of Van Cleef & Arpels jewelry in which this intricate brooch, topped off with a 95-carat diamond, was shown. 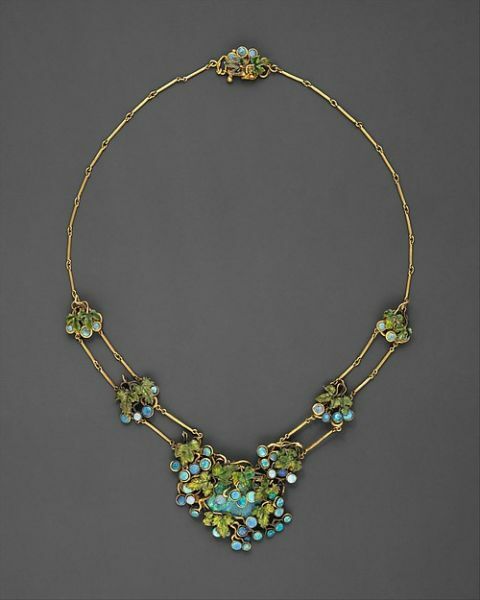 The Met has all kinds of jewelry on display- from ancient Roman cameos, to this Art Nouveau necklace designed by Louis Comfort Tiffany (the son of the founder of the legendary brand) in 1904. 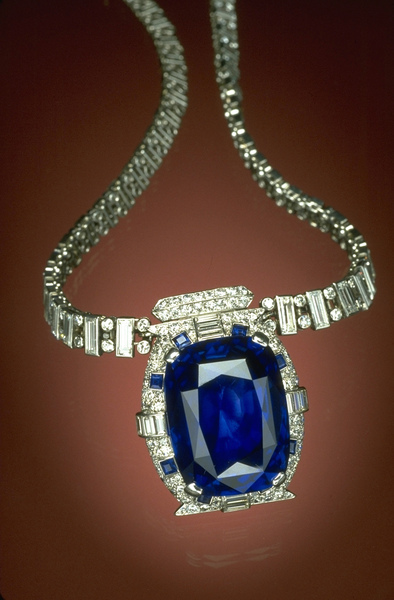 THE SMITHSONIAN NATIONAL MUSEUM OF NATURAL HISTORY, WASHINGTON, D.C.
Countess Mona von Bismarck donated this 98.57 Burmese sapphire to the Smithsonian in 1967. It is mounted on an Art Deco necklace designed by Cartier and displayed in the museum with countless priceless gems, including the Hope Diamond. 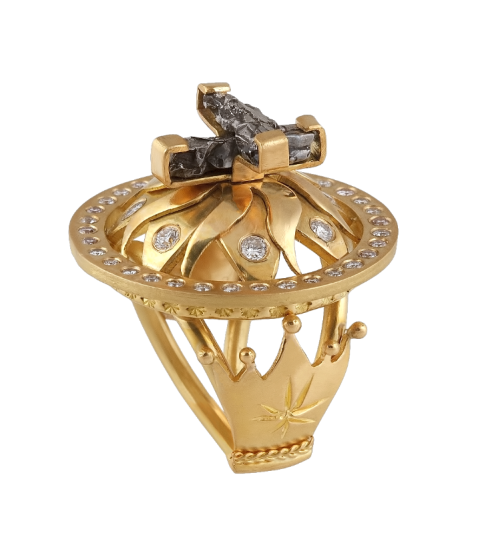 The museum has a permanent hall of minerals and gems, and this gold ring, designed by Donna Distefano and topped with pieces of the Gibeon meteorite, will be part of the Out of This World: Jewelry in the Space Age exhibit at the museum– opening in June 2015. The museum’s collection includes many pieces that belonged to the ruling families of France- like this necklace and matching earrings owned by Empress Marie-Louise, the second wife of Napoleon. The museum’s jewelry collection is small but covers a wide range of eras. 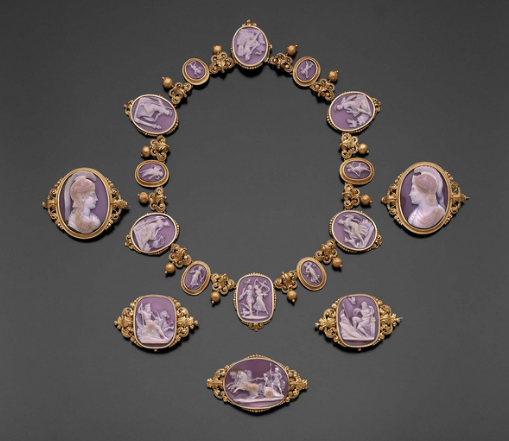 Included is this set of cameos, carved in Italy in the mid 19th century. 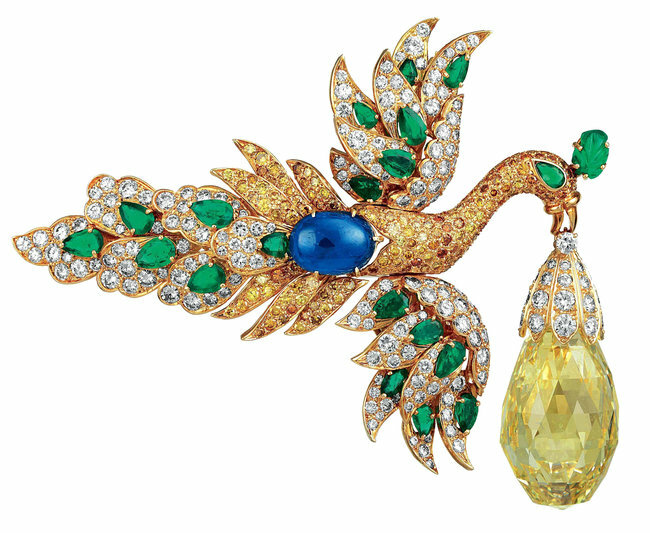 It is no surprise that the GIA is one of the best places to find exhibition-worthy jewels. 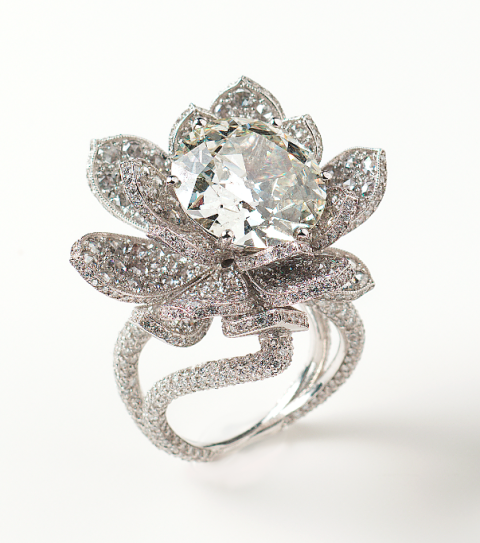 This diamond flower ring designed by Munnu the Gem Palace will be included in the Dream of Diamonds exhibition in May 2015. 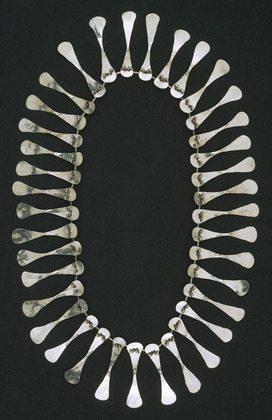 The museum is known for paintings and contemporary installations, but it also houses this Alexander Calder necklace, made out of hammered silver and created by the artist in 1941. The fine arts museum has a wide range of jewelry in its collection. 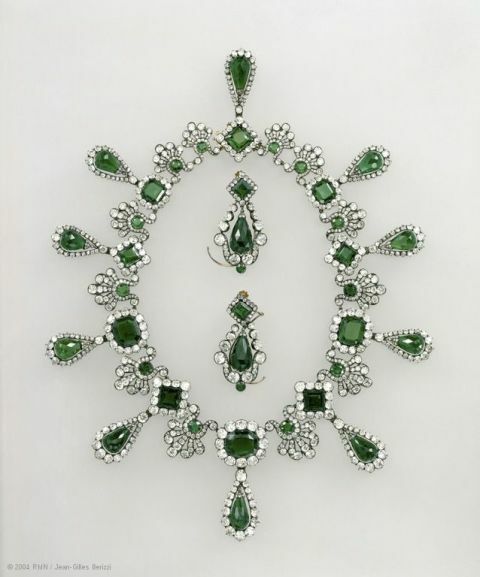 This Cartier brooch, owned by heiress Marjorie Merriweather Post, was included in the 2009 exhibit Cartier and America at the museum’s Legion of Honor building. 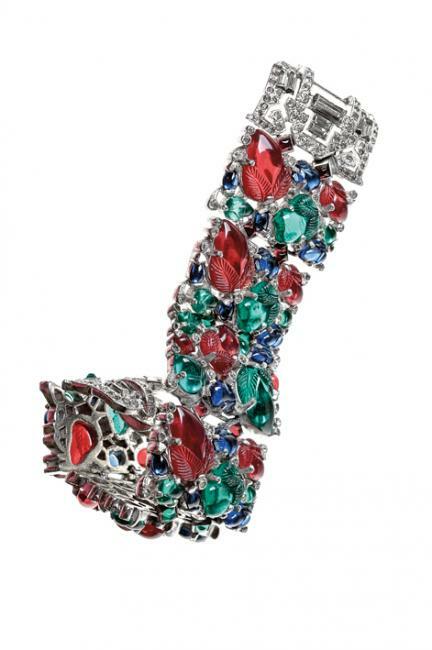 Just because this Trifari bracelet from the 1940s is made with rhinestones instead of diamonds, it doesn’t mean that it isn’t museum-worthy. 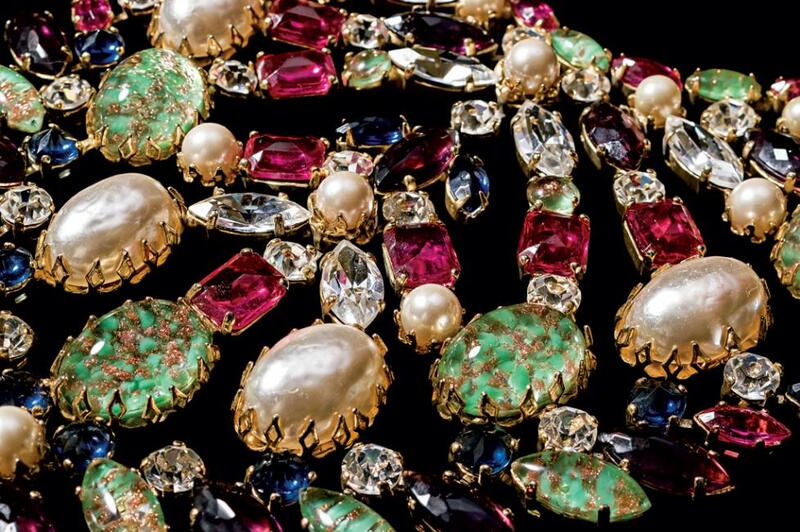 It was included in in Fashion Jewelry: The Collection of Barbara Berger at the museum which has a constant rotation of costume jewelry on display.